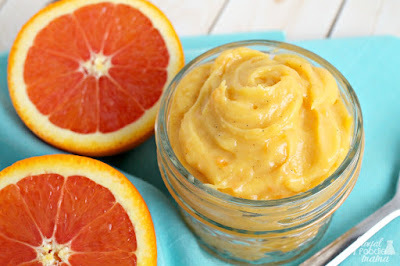 So, I told you all last week when I posted my recipe for an easy to make Cara Cara Orange & Vanilla Bean Curd that I would also be sharing a recipe or two with you all using this creamy, dreamy yumminess. I wasn't lying, folks. 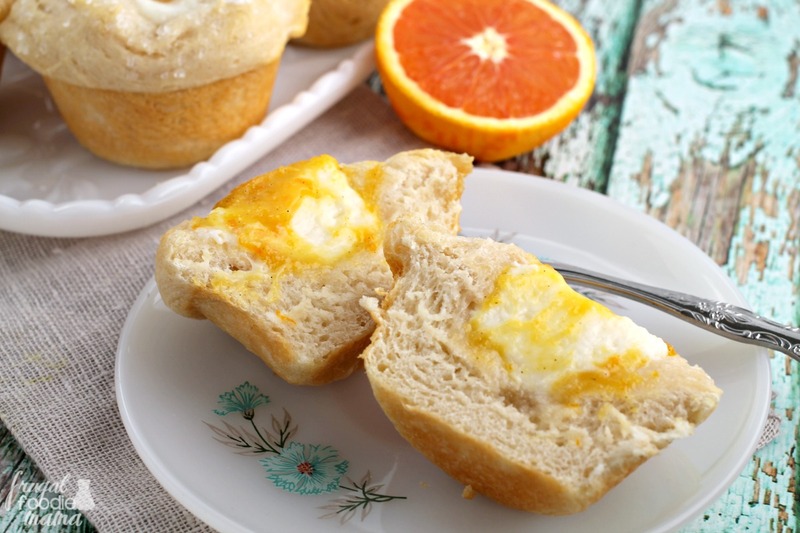 In fact, I went right to work on these irresistible & moist Orange Creamsicle Danish Muffins! 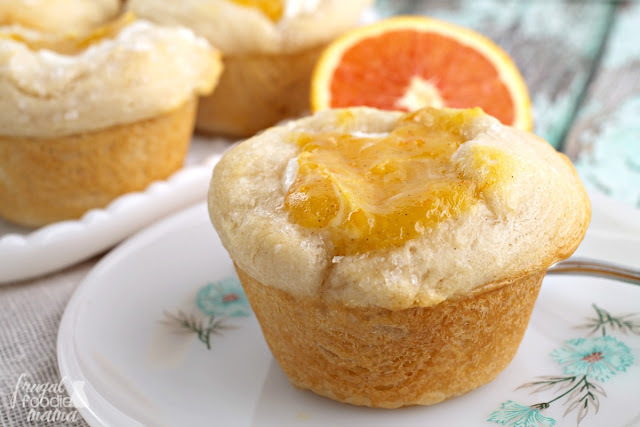 :) They are a take on one of my more popular recipes on the blog- my Cherry Cream Cheese Danish Muffins, but I simply switched out the cherry preserves for my orange & vanilla bean curd. The results? 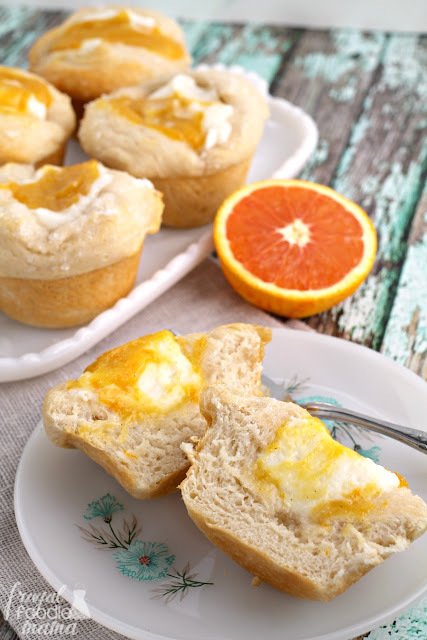 Quick & easy 4 ingredient muffins that taste just like an orange creamsicle! Preheat your oven to 350 degrees. 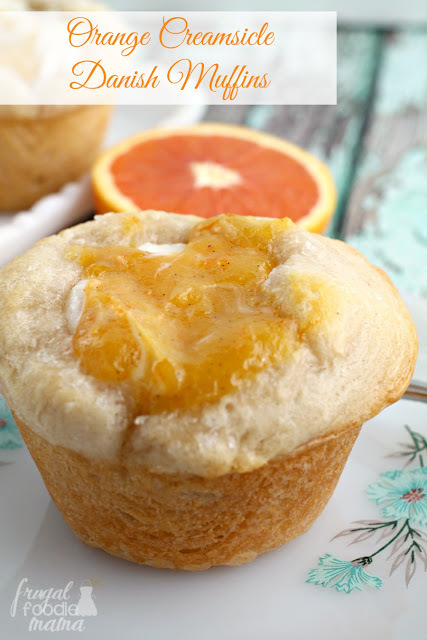 Spray the inside of 8 muffin cups of a muffin tin with cooking spray. Set aside. In a small bowl, beat together the cream cheese & 1/2 cup of sugar until smooth & creamy, about 3 minutes. Sprinkle the 2 tbsp of sparkling sugar onto a small plate. Unroll your refrigerated biscuits. Place one side of one of the biscuits into the sugar. Then press it into one of the prepared muffin cups, sugar side up. Press the biscuit down into the cup and then press up the sides to form a biscuit cup. Repeat this for the remaining 7 biscuits. Drop about 2 tsp of the cream cheese mixture into each of the 8 biscuit cups. Then top each one with a rounded tsp of the Cara Cara Orange & Vanilla Bean Curd. 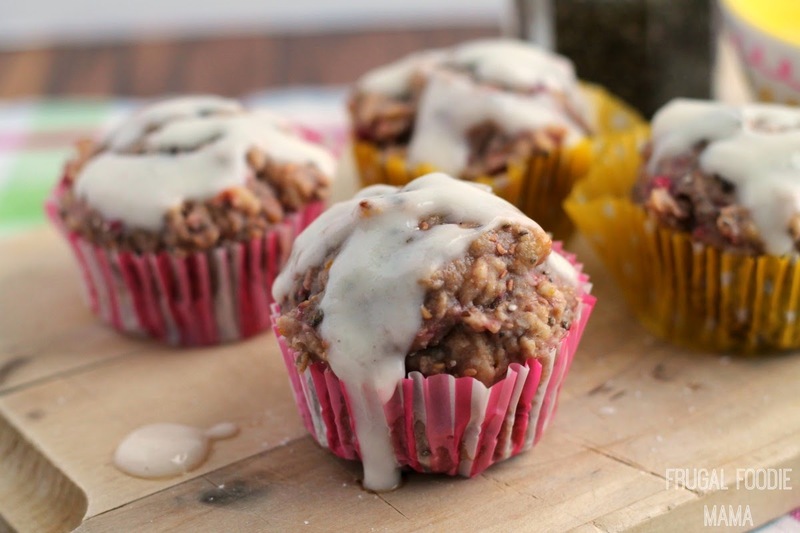 Refrigerate any leftover muffins in an airtight container.